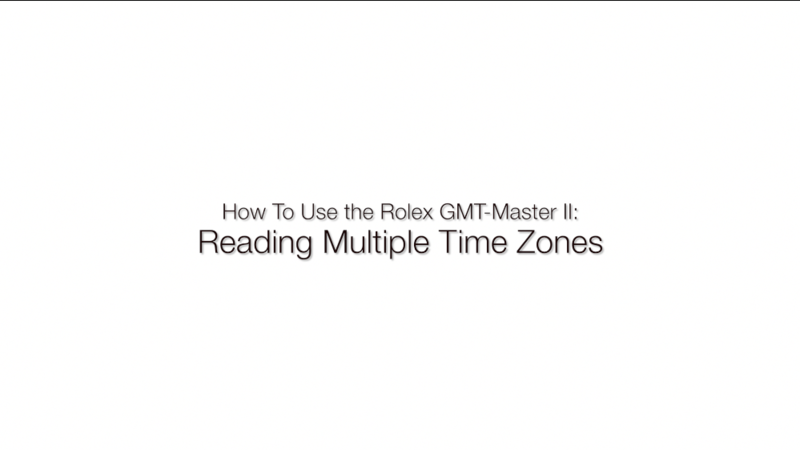 Designed to be able to read three different time zones simultaneously, the GMT-Master II’s 24-hour hand can be a little confusing until you have step-by-step instructions! 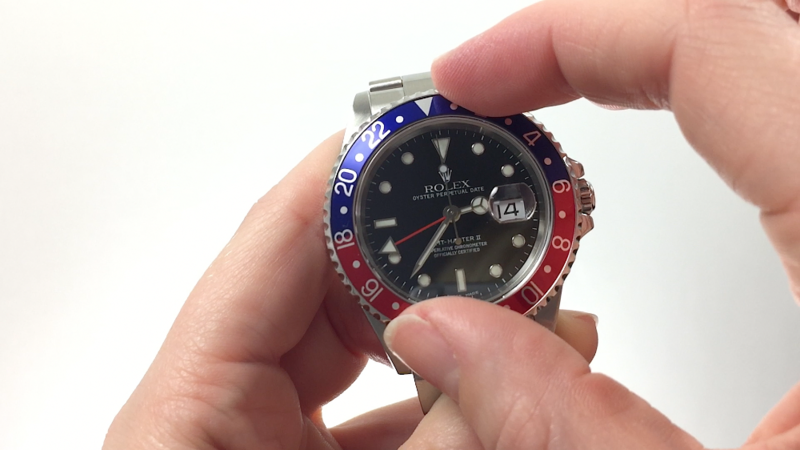 Watch Chest has published a quick but detailed video here on how to read the GMT-Master II and multiple time zones but step-by-step photos may be more your style. 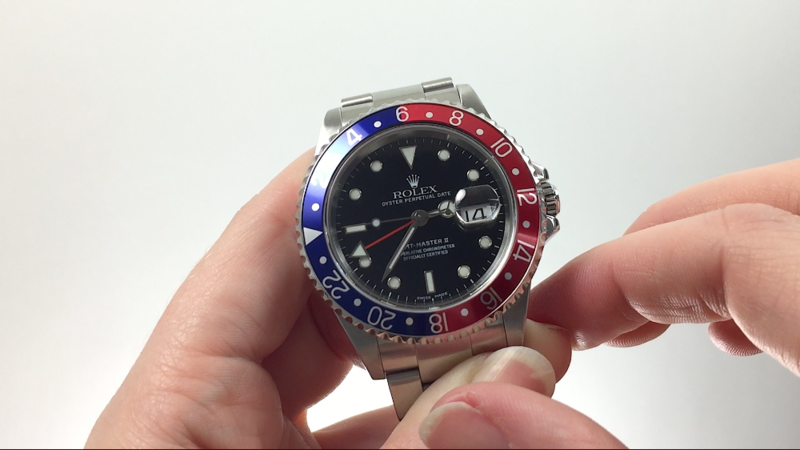 The GMT-Master II has the ability to show 3 different time zones simultaneously. 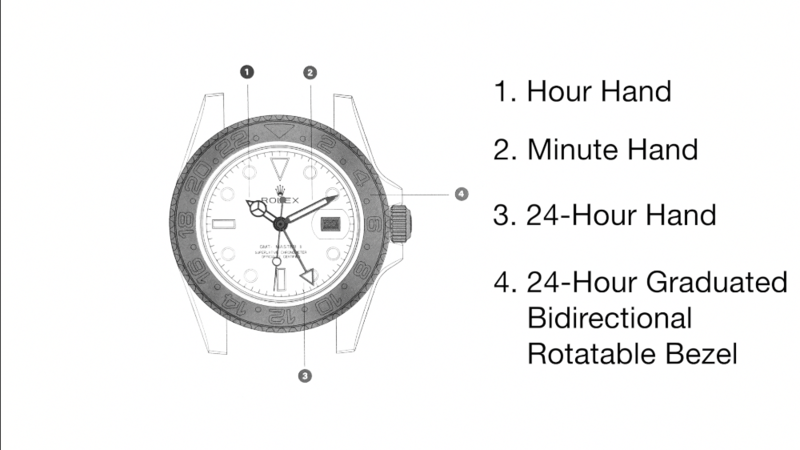 You will be using the Hour Hand, Minute Hand, 24-Hour Hand, and the 24-Hour Bidirectional Rotatable Bezel. 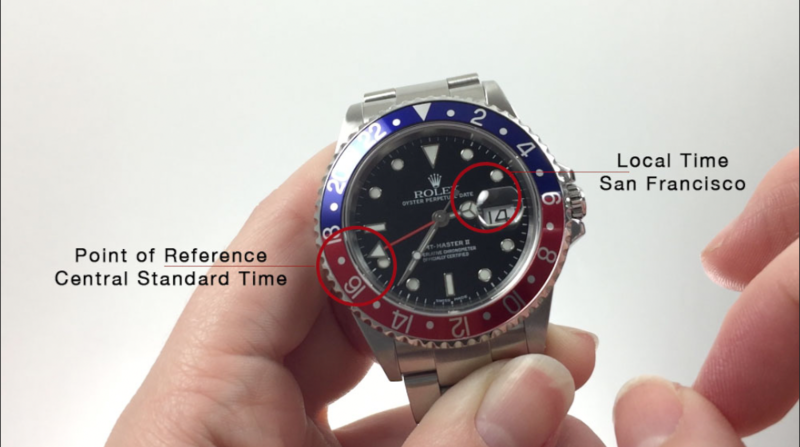 In this example, the 24-Hour hand is synchronized to my home Central Standard Time, showing 16:36 on the bezel, and therefore will always be our point of reference. However, I’ve traveled to California on business and set the hour hand backwards two hours to reflect the local time. 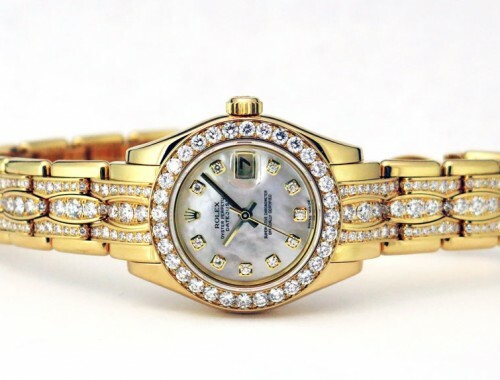 It is 2:36 pm in California but a quick read of the 24-Hour Hand and the bezel tells me it is 4:36 pm back home. While in California I have to make a call to London and would like to know the current time there. 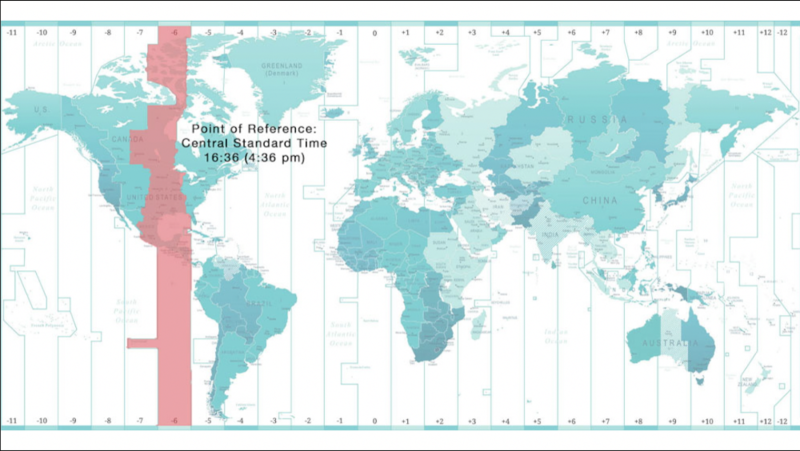 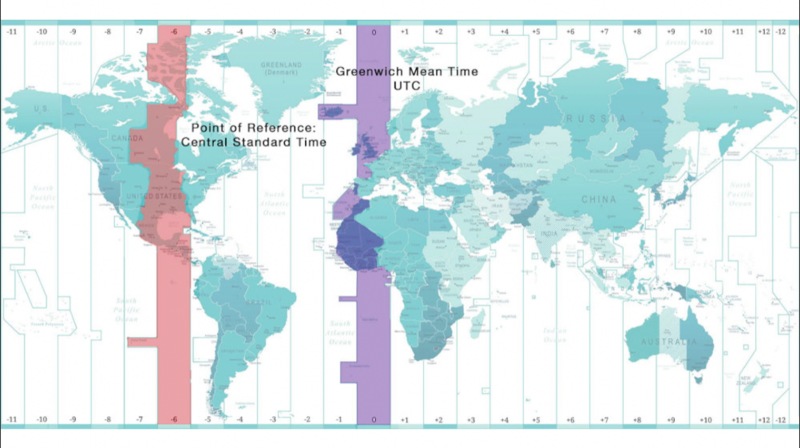 Using our 24-Hour Hand’s point of reference, London is 6 hours ahead of Central Standard Time. 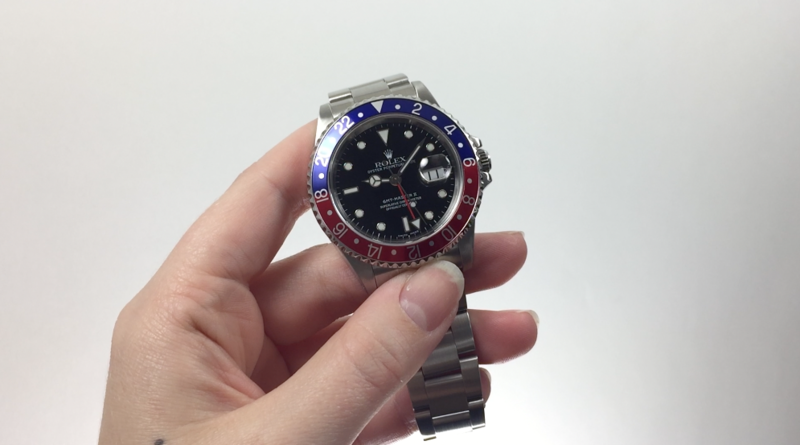 I rotate the bezel forward to align the 6 with the 12 o’clock position, and using the 24-Hour Hand and the Minute Hand, I now know it is 22:36 in London, or 10:36pm. 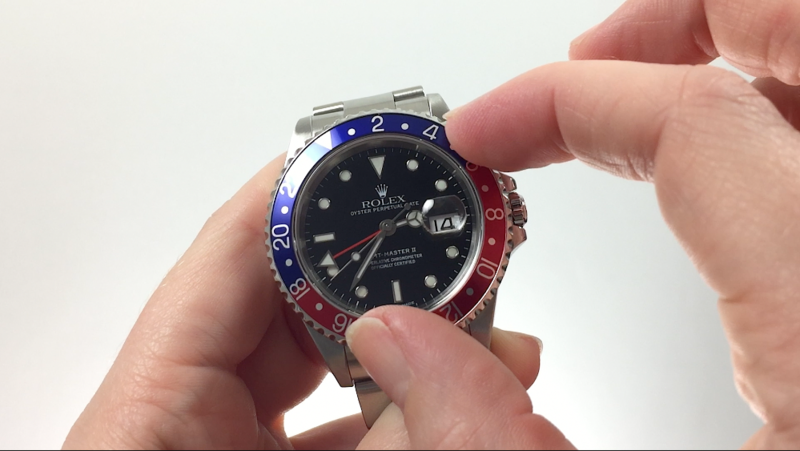 To reset the bezel to the original point of reference, rotate either way until the triangle is once again aligned with the 12 o’clock position.